Boeing has delivered the 787th 787 Dreamliner to come off the production line, marking a special milestone for the super-efficient airplane family and the fastest-selling twin-aisle jet in history. As China’s largest airline by fleet size, China Southern Airlines currently operates more than 800 aircraft, including Boeing 787, 777, 747 and 737s. The carrier operates more than 3,000 daily flights to 224 destinations in 40 countries and regions across the world. Top Copyright Photo (all others by China Southern): China Southern Airlines Boeing 787-9 Dreamliner B-1168 (msn 38797) (787th Boeing 787) PAE (Nick Dean). Image: 944679. 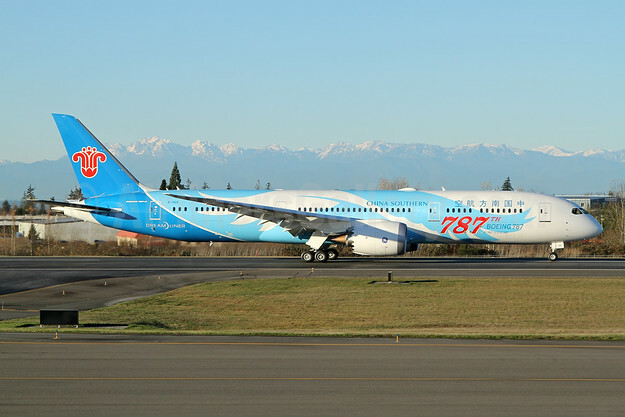 This entry was posted in AerCap, Boeing, China Southern Airlines and tagged 787th Boeing 787, AerCap, B-1168, Boeing 787-9 Dreamliner, China Southern Airlines, msn 38797 on December 14, 2018 by Bruce Drum. Aircraft lessor AerCap holdings N.V. has upped its Airbus A320neo portfolio after signing a firm agreement to buy 50 additional aircraft. This transaction brings AerCap’s firm orders for the A320neo Family aircraft to a total of 270, owned and on order. This entry was posted in AerCap, Airbus and tagged AerCap, Airbus on December 29, 2017 by Bruce Drum. AerCap Holdings N.V. has announced it has confirmed the placement of five Embraer E190-E2 jets to Air Astana, the national carrier of Kazakhstan. The aircraft, on long term lease from AerCap’s order book with Embraer, will begin delivering to Air Astana in the last quarter 2018. The E2 aircraft offer greater range and operational efficiency which will support Air Astana’s growing network and open new market opportunities. The E190 will allow Air Astana to open up smaller markets in southern Russia, the Caucasus, and Central Asia including smaller domestic routes. Air Astana received its first original E190 in 2011. This entry was posted in AerCap, Air Astana and tagged AerCap, Air Astana, Embraer, Embraer E190-E2 on August 1, 2017 by Bruce Drum. Boeing (Chicago, Seattle and Charleston) and AerCap (Amsterdam) announced an order for 100 737 MAX 8s today at the Paris Air Show. 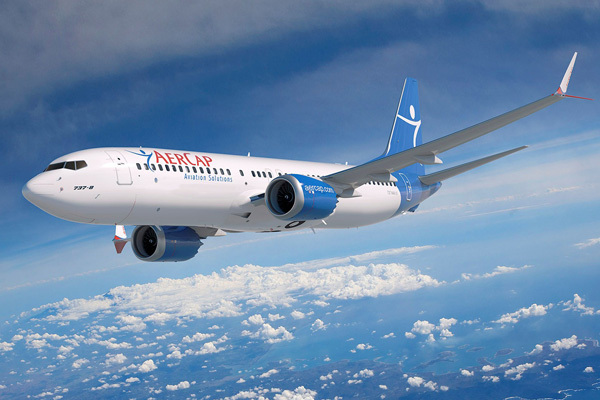 The order, valued at $10.7 billion at current list prices, is the first 737 MAX order for AerCap. This entry was posted in AerCap and tagged 737, 737 MAX 8, AerCap, Boeing, Boeing 737, Boeing 737 MAX 8 on June 16, 2015 by Bruce Drum. 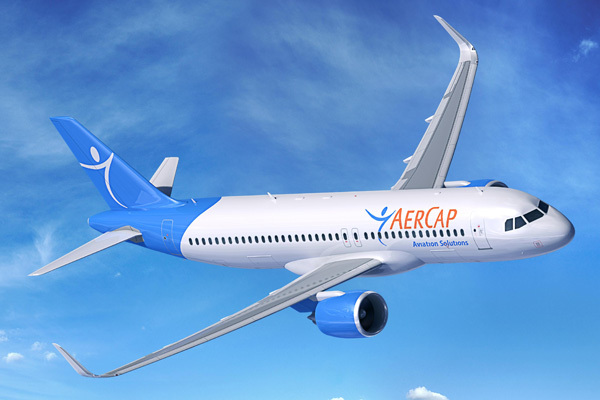 AerCap (Amsterdam) has firmed up an order for 50 additional Airbus A320neo Family aircraft at the Farnborough International Airshow 2014. The contract, AerCap’s first major aircraft order following the acquisition of ILFC earlier this year, was signed by Philip Scruggs, AerCap’s President & Chief Commercial Officer and Fabrice Brégier, Airbus President and CEO. AerCap will announce its engine selection in due course. 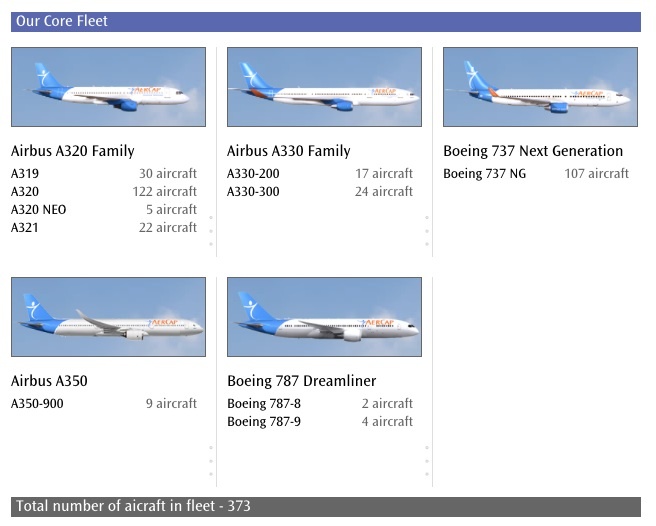 Including today’s order for 50 A320neo aircraft, AerCap’s total order of A320neo aircraft rises to 200 and its total orders of Airbus aircraft rises to 945. Following the lessor’s acquisition of ILFC, AerCap becomes Airbus’ largest customer overall, both in number and value of aircraft purchased. This entry was posted in AerCap and tagged A320, A320neo, AerCap, Airbus, Airbus A320, Airbus A320neo on July 14, 2014 by Bruce Drum. AerCap Holdings N.V. (The Netherlands) has announced that it has entered into a definitive agreement with American International Group, Inc. (AIG) under which AerCap will acquire 100% of the common stock of International Lease Finance Corporation (ILFC), a wholly-owned subsidiary of AIG. Under the terms of the agreement, AIG will receive $3.0 billion in cash and 97,560,976 AerCap shares. Based on the closing stock price of AerCap’s shares on Friday, December 13, 2013, the total consideration has a value of approximately $26 billion including the assumption of the outstanding ILFC net debt of $21 billion. Upon closing of the transaction, AIG will own approximately 46% of the combined company, while the existing AerCap shareholders will own approximately 54% of the combined company. The AIG shares will be subject to a lock-up period which will expire in stages over a 9 to 15 month period, post closing of the transaction. In connection with the acquisition, AIG has entered into agreements with AerCap regarding voting restrictions, standstill provisions and certain registration rights. As part of the transaction, AIG will provide AerCap with a committed five-year $1.0 billion unsecured revolving credit facility. In connection with the transaction, AerCap and AIG will make an election under Section 338(h)(10) of the Internal Revenue Code that will enable AerCap to step up the tax basis of ILFC’s aircraft and other assets to their fair market value. The transaction is subject to approval by AerCap shareholders, receipt of necessary regulatory approvals and satisfaction of other customary closing conditions. Waha Capital, AerCap’s largest shareholder with a current stake of 26%, has agreed to vote in favor of the transaction. AerCap is one of the world’s leading aircraft leasing companies. AerCap has a portfolio of 373 aircraft owned, managed and under purchase commitments, which represents one of the youngest fleets in the industry. The company is listed on the New York Stock Exchange (AER) and has its headquarters in the Netherlands with offices in Ireland, the United States, China, Singapore and the United Arab Emirates. International Lease Finance Corporation (ILFC) is a global market leader in the leasing and remarketing of commercial aircraft. With nearly 1,000 owned and managed aircraft and commitments to purchase approximately 330 new high-demand, fuel-efficient aircraft, ILFC is the world’s largest independent aircraft lessor. ILFC has approximately 200 customers in more than 80 countries and provides part-out and engine leasing services through its subsidiary, AeroTurbine. ILFC operates from offices in Los Angeles, Amsterdam, Beijing, Dublin, Miami, Seattle, and Singapore. This entry was posted in AerCap, ILFC and tagged AerCap, ILFC on December 17, 2013 by Bruce Drum.